Most of what we most value in life — love, friendship, respect, recognition, care — comes from relationships … People die well when they are supported by relationships with people who care for them and provide their lives with a sense of meaning. Jake Garber and Charles Leadbeater, Dying for Change (2010). The research about end of life care in the UK makes for grim reading. It tells us that too many people die in unsettling environments, surrounded by the wrong people. Too many people die lonely and afraid, unable to access any appropriate support and care. And for too many people some of the most precious days of their lives are spent marking time, simply waiting for the end to come. 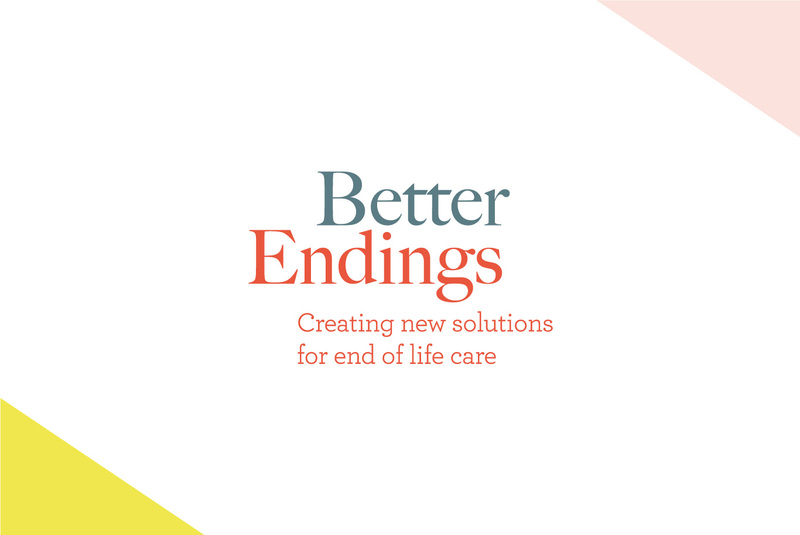 Innovation Unit has just launched Better Endings, a year-long disciplined innovation programme, funded by Guy’s and St Thomas Charity’, that aims to create new solutions for end of life care. We’ve been inspired by innovations in end of life support and care — often community driven — found across the UK and internationally. Initiatives such as Death Café and Coffin Club suggest a very different way of thinking about and living with a sense of our own mortality. Others such as Kerala’s Neighbourhood Network for Palliative Care and, closer to home, Compassionate Neighbours, suggest ways we could support each other so much more effectively, drawing on new resources in the form of untapped community capacity. Better Endings is working in Southwark and Lambeth with some of the most talented and pioneering practitioners from the medical and professional care systems. The programme will also mobilise the great energy, ideas and capacity that exist in the voluntary sector, and in wider social and community life. Our aim is to create a much-needed space where a diverse and expert group can think and work together to make innovation happen. Better Endings will generate new insights and perspectives, mobilise new contributions and design new solutions. Activities in early spring next year will centre on challenging, data rich and productive workshops to generate new insights and perspectives. Stories (collected through ethnographic research) from people who live and die in Southwark and Lambeth will prompt thinking, and mixed groups of practitioners, providers, commissioners, families and carers will share experiences and begin to develop ideas. In summer, design teams will shape up the ideas. A panel of ‘judges’ (stakeholders excited to be involved in this way) will recommend the ideas that are most likely to lead to impact and which should receive support for prototyping — a small enabling budget and service design expertise. In the autumn design teams will be supported to evaluate their prototypes, and to make plans for implementation. Responding to an impatience for change. Inspired by the policy pamphlet Dying for Change (2010) by Charles Leadbeater and Jake Garber, Better Endings has been carefully brought to life by experts from within and beyond the clinical and professional care systems who are ambitious and impatient for change. End of life care has been a high priority for commissioners and providers in Southwark and Lambeth for some time. There is already great energy and creativity being invested in long-term strategic developments to improve outcomes and manage costs. Better Endings will complement existing initiatives and accelerate impact by mobilising a new vision and ownership around end of life care, and building capability and agency for change across the localities. We’re especially interested to explore how to unlock the untapped potential for care and support that exists within us and amongst us, and across our neighbourhoods and communities. Better Endings runs until December 2017. We’re focused first on South East London, but the approaches we develop should be of much-wider interest. We also aim to influence a growing movement for change in the way we think about and behave around death and dying. Follow us @_BetterEndings or get in touch at betterendings@innovationunit.org.